Last week we gave a review over automatic backup Windows 7, this week, we manage to figure out how to schedule backup Windows 8 or 8.1 in more than one way. Let’s begin this issue with a little curiosity. For Windows 8 users, the question goes not as how can they schedule backup their computer, but as which backup method should they choose to use. For system backup, Windows 8 provides a wider range of choices for users than Windows 7 does. Which solution you pick should depend on your needs. 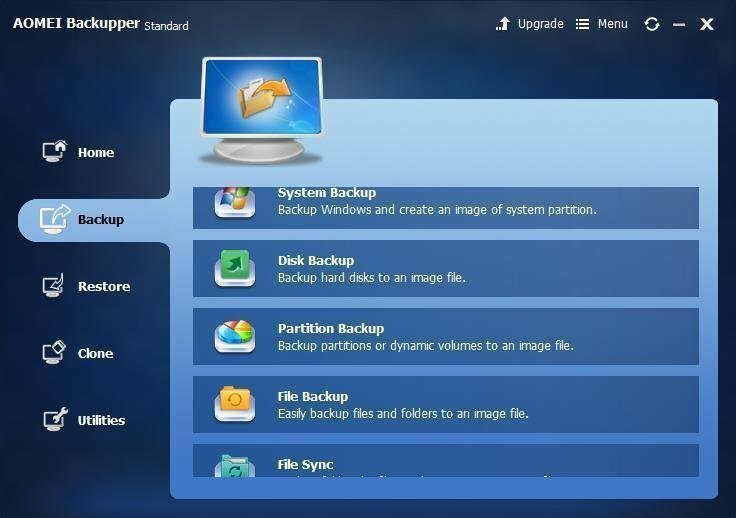 Most often, we suggest you to do Windows 8 system image backup with File History which is a unique built-in backup program for Windows 8 operating system. We do this not only because it is a popular tool, but also because it has a powerful advanced setting. Then, how to start File history? To turn it on, simply head to Control Panel and click File History. As you can see from the above screenshot, File History offers four main options, however, the last two (Exclude folders and Advanced setting) are most useful and most significant. “Exclude folders” is used for excluding those folders you don’t want to backup while "Advanced settings" includes some specific settings such as creating a schedule for schedule backup in Windows 8. Since articles about the operational procedure could be easily found on Google, we will not repeat them in this essay. Note: File History allows you make your local disk, external hard drive or a network, such as NAS as a destination folder to save image file. Although File History is a stable tool for schedule backup Windows 8, but due to it’s a file-level backup tool and unable to backup sector by sector, so a more professional third-party free backup software, such as, AOMEI Backupper is needed. AOMEI Backupper is a freeware that supports all the features provided by Windows 8 File History. More than that, it even allows Windows 8 or 8.1 users to do clone, restore and some other specific utilities. You can guard your privacy by adding encryption to your backup, you also can execute compression task if you detest the backup images because it is space consuming, otherwise, you are welcomed to send us your comment about our product and service as you like. To summarize, third-party program’s schedule backup function usually more flexible as well as more humanized than Windows schedule backup setting. 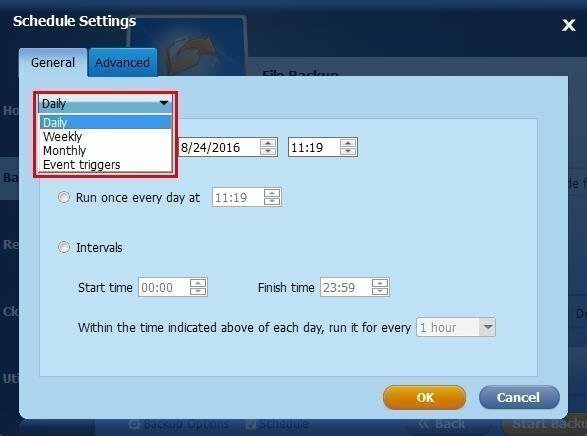 For example, AOMEI Bakcupper provides four major schedule modes for users, namely, Daily Backup, Weekly Backup, Monthly backup and Event Triggers Backup. Under each mode, more than one sub-option is available for user for further advanced setting. With the help of this free backup software, you could really realize schedule backup in Windows 8 or 8.1. Free Download AOMEI Backupper and have a try!